Download on your phone directly for installing. 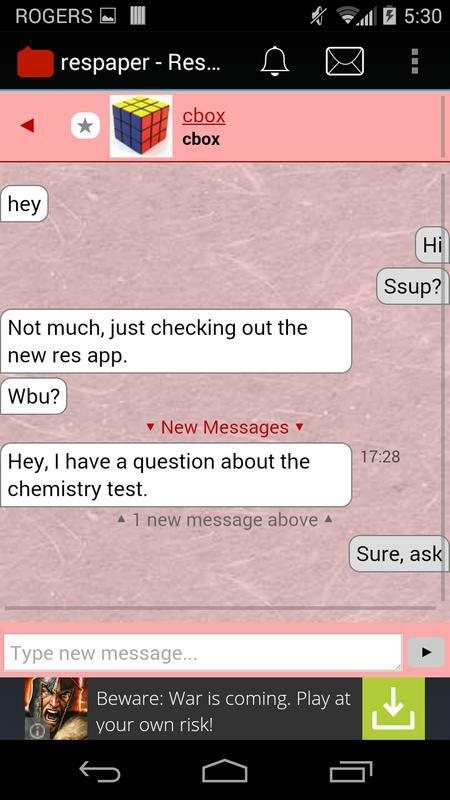 Unleash the power of the ResPaper.com website on your device. 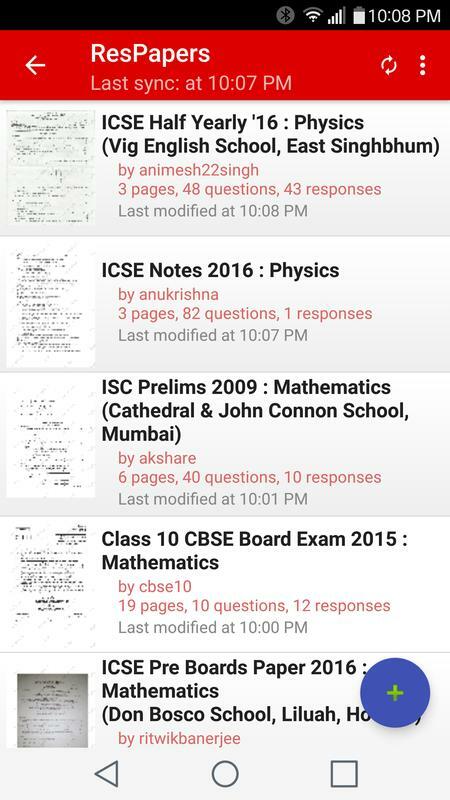 Now you can download ResPapers with all repsonses, comments and ratings, and view them even when you are offline! 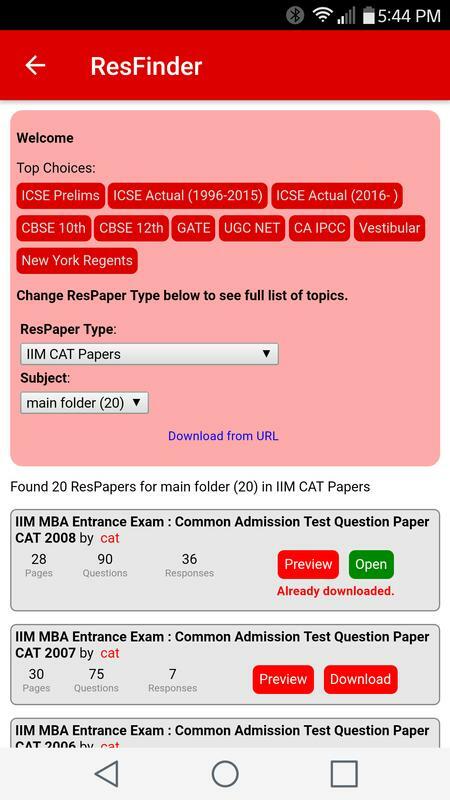 With over 19,000 ResPapers and counting, you can get past exams, notes and other practice material for a number of different boards/states, such as ICSE/ISC, CBSE, GATE, UGC NET, IIT JEE, UPSC, IIT JAM, CA IPCC and many more. 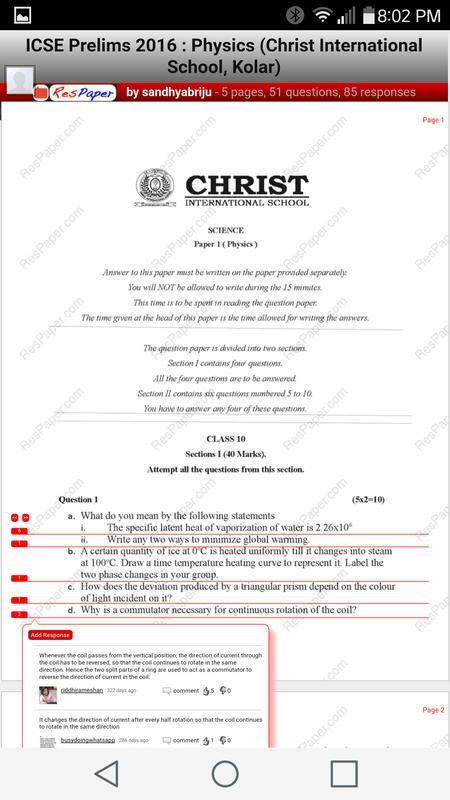 Also available are international offerings such as Vestibulars of Brazil, and New York's Regents Exams. Download now before the app becomes a paid app. 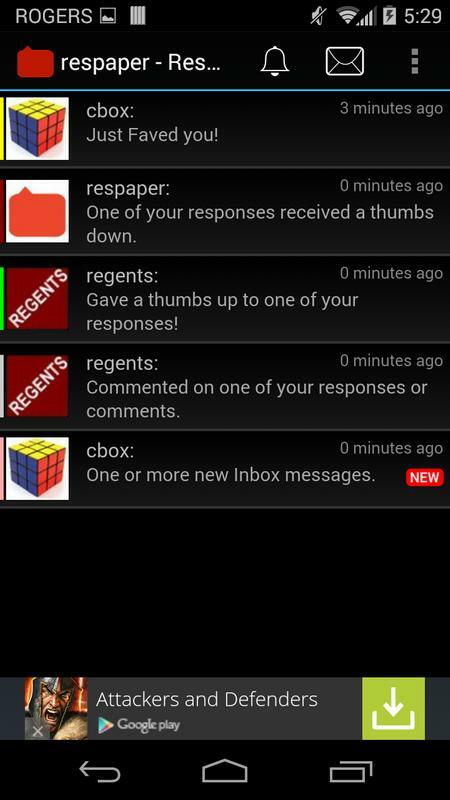 Join ResPaper hangouts, and get notified of activities of interest to you, such as when someone rates or comments on any of your responses, a ResPaper user sends a friend request or Faves you, or one of your Friends uploads a new ResPaper, among other things. 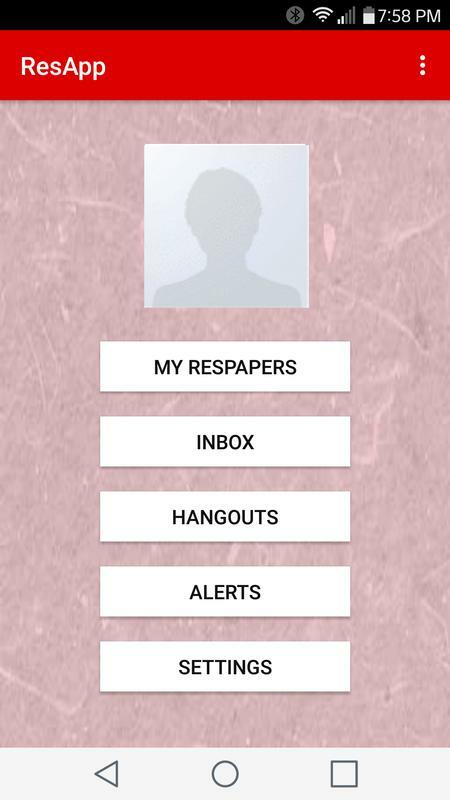 You can also access your Inbox directly from the phone and keep in touch with your ResPaper friends on the go.